After slapping vape manufacturers and retailers with warning letters, the Food and Drug Administration is ramping up its teen tobacco-awareness campaign to include the dangers of vaping. 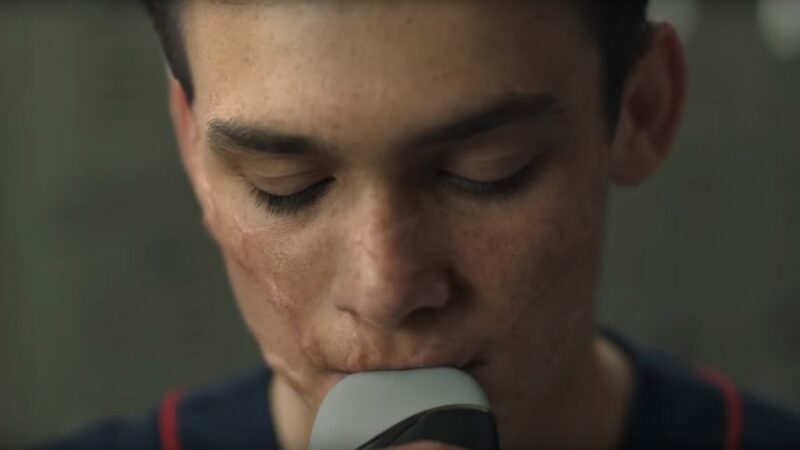 The agency has used its Real Cost campaign to dissuade teens from smoking cigarettes and chewing tobacco, but the latest iteration is focused on the dangers of vaping. It is educating teens that many of the same dangers of cigarettes, like nicotine addiction, lung damage, and cancer, are present in e-cigarettes or other vapes. The FDA launched the campaign to reach teens who are already vaping or open to vaping; the agency has estimated that 10.7 million youth fall into that category. It is running ads online and on social media, paired with materials and posters for schools, including in vaping hotspots like school bathrooms. The FDA has released 18 digital ads that refer to vaping as an epidemic and warn that it can change a teen’s brain. The spots have the typical gross-out factor seen in many anti-smoking ads. Some ask viewers to imagine cockroach sushi or biting into a maggot-filled strawberry; others make veins pop out of teens’ faces when they vape. The FDA also updated the Real Cost website to reflect the dangers of vaping, including that metal particles are found in vape smoke, flavor chemicals in vapes can be harmful to lungs, and that vapes do contain addictive nicotine. The campaign is also sharing quitting tips, like how to reduce stress, what to say to friends who offer a cigarette or vape — “Nah, it’s not my thing” — and how to deal with cravings. FCB New York has been working on the campaign, which began in 2014. A recent study published in The American Journal of Preventive Medicine found that the Real Cost campaign has prevented more than 350,000 teens from smoking and saved an estimated $31 billion in smoking-related costs over two years. Last week, the FDA issued more than a thousand warning letters to vape manufacturers and retailers warning them not to sell the devices to teens. The agency warned if the manufacturers don’t come up with a plan to keep vapes away from minors in 60 days, it may ban flavored vapes altogether. The FDA also issued warnings this year for making vape flavor cartridges appealing to young people by designing them to look like candy or children’s juice boxes.